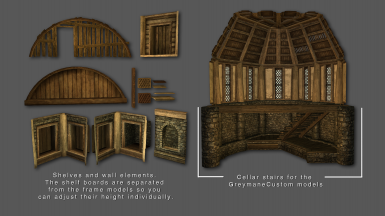 New architecture meshes to add more building options to the default Whiterun Interior Tileset. - to modify them further as needed (re-model, re-name, re-texture, use them as base mesh for new models of your own, etc.) and then upload your version of them, as long as everything stays within Bethesda's terms and conditions. There is no need to message me for permissions! 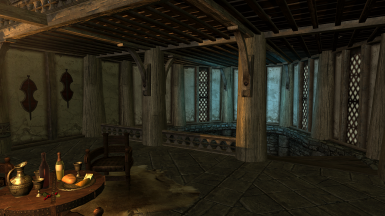 I've made a handful of custom models to expand the vanilla Whiterun Interior tileset and thought I'd share. 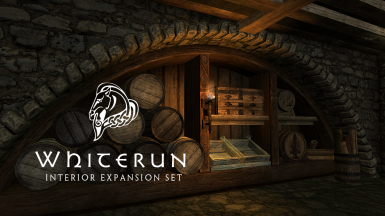 The download contains 25 models and features both entirely new models, as well as slightly changed vanilla models to offer additional building options. 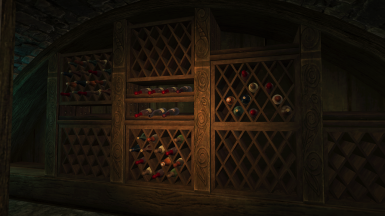 The meshes use vanilla textures, so their appearance in game is likely to deviate from the above screenshots if you've got any texture overhaul mods installed. 1. wrIntWallCorIn02 - is the same as vanilla wrIntWallCorIn01 (which is used to build inward corners), but with the vertex color shadows removed so it can be used for the opposite purpose, to construct outward corners. 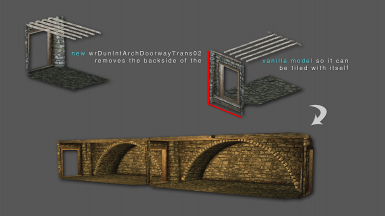 2. wrDunIntArchDoorwaytrans02 - removes the backside of wrDunIntArchDoorwaytrans01 so the model can be tiled with itself (see screenshot), allowing to create rows of arches. There is no need to message me to ask for permissions! 1. 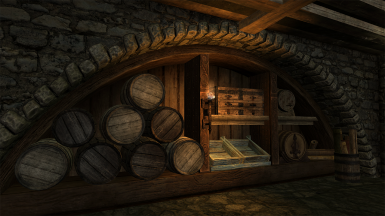 By default the models use following file path: meshes/architecture/whiterun/wrinteriors/SpinaDeMul_Expansion, so that's where you will find them if you use NMM. Otherwise, extract the zip file to somewhere on your hard disk and copy the models you'd like to use manually into the folder of your choice. Feel free to rename the models at your convenience, too. Windows taskbar on the folder where the models are so the folder pops up in front of the CK window. In your windows folder select the models you want to use and drag & drop them into the CK Object window. Depending on how many models you drag and drop it can take several seconds for the CK to load them. 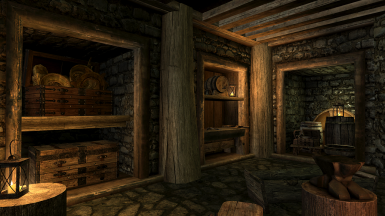 Some of the screenshots feature clutter resources by Oaristys and Tony67 and Lolicept whom I'd like to thank for sharing those.